LONDON — Saab’s GlobalEye swing-role surveillance aircraft got airborne for the first time Mar 14. The Swedish company says it remains on schedule to deliver an order from the United Arab Emirates for three jets. The flight follows the official roll-out of the aircraft at Linkoping last month. Saab officials are reticent about giving any timelines regarding delivery of the three jets for the UAE but say they are hitting the development milestones as planned. The aircraft is able to undertake airborne early warning, maritime and ground surveillance simultaneously. Saab’s new Erieye Extended Range radar, Leonardo’s Seaspray maritime search radar and a Flir Systems electro optical sensor are all part of the sensor fit for the UAE. 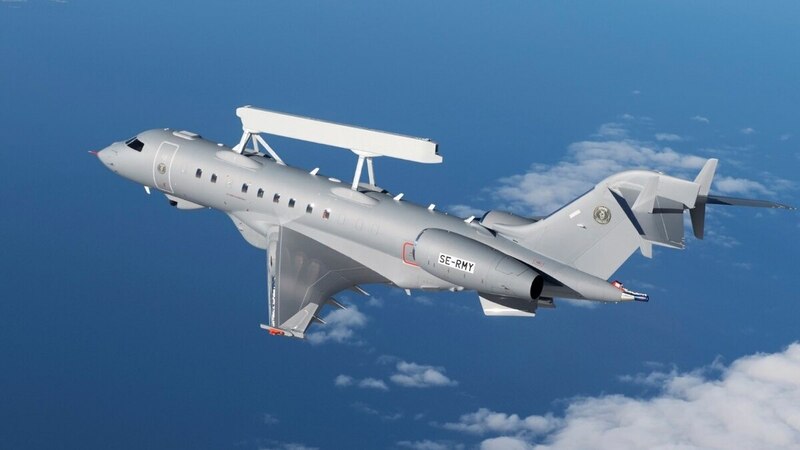 Anders Carp, the head of Saab’s surveillance business area, said the long-endurance aircraft was the “world’s most advanced swing-role surveillance” aircraft. Carp told reporters the company expected to see a great demand for swing-role surveillance assets able to support all branches of the military as well as undertake civil society roles. The UAE ordered the first two GlobalEye jets in late 2015 and followed that up with an order for a third aircraft last year. The Gulf state is calling the aircraft the-swing role surveillance system. The UAE, Saudi Arabia, Brazil, Thailand, Greece, Pakistan, Mexico and Sweden all use the earlier version of Erieye radar installed in either Saab turboprop or Embraer jet‎ aircraft. Saab officials estimate the new extended range Erieye being installed on the UAE aircraft has a 70 percent better performance than existing variants of the radar. Lars Tossman, the head of the Saab airborne survelliance unit, said the company was in “ongoing dialogue with a lot of potential customer around the world.” He pointed to Latin America, Europe and Asia as among the areas of market interest. The company has already signalled its interest in NATO’s Boeing E-3A replacement, although that requirement is a number of years off.